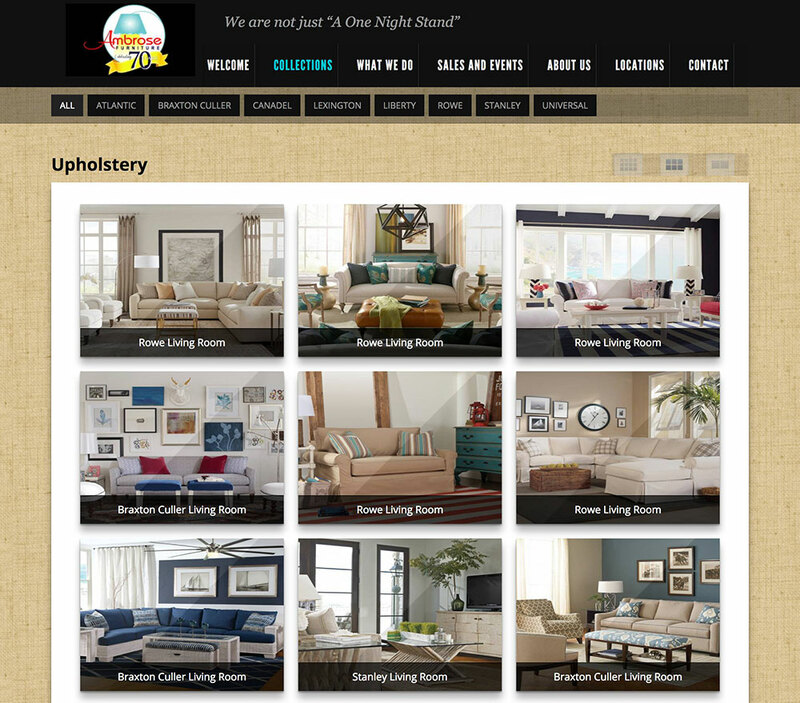 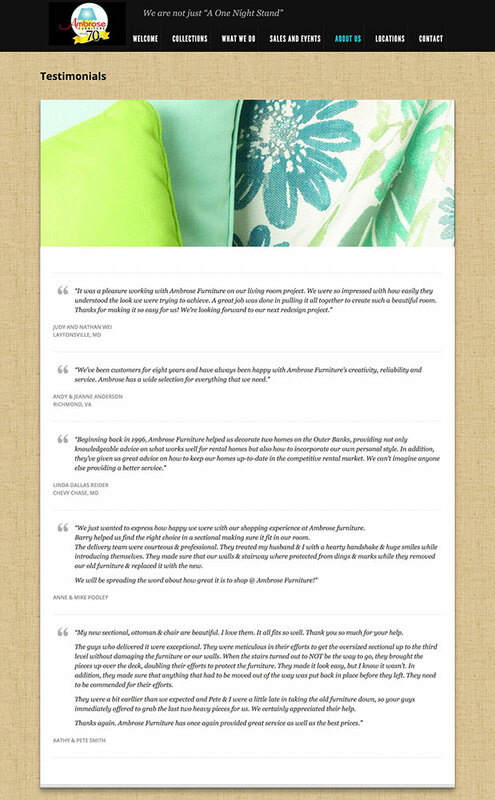 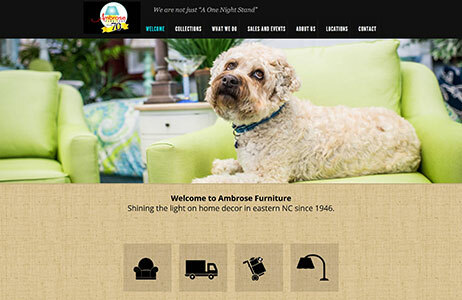 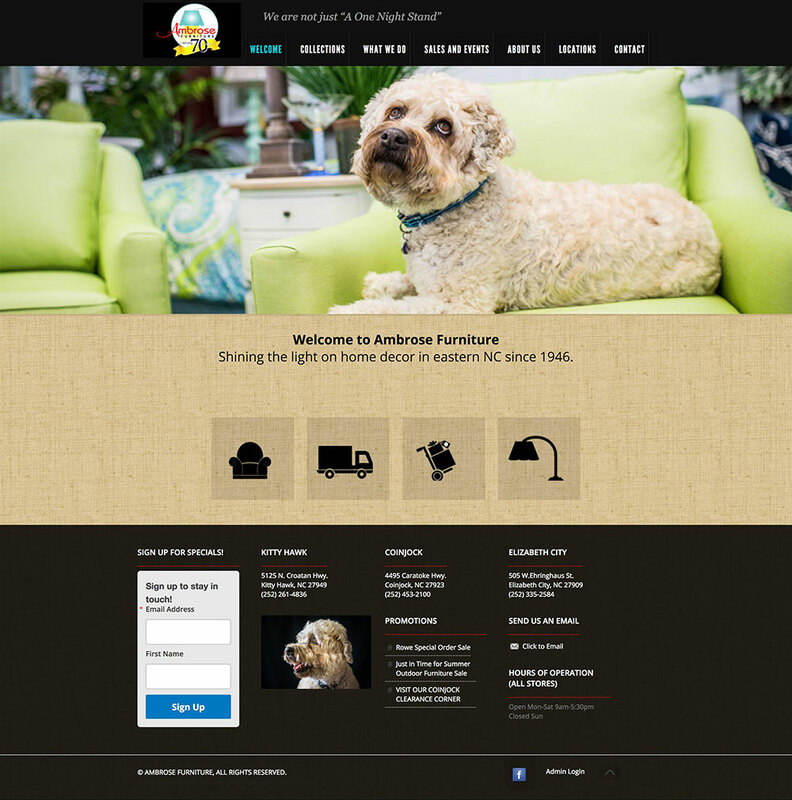 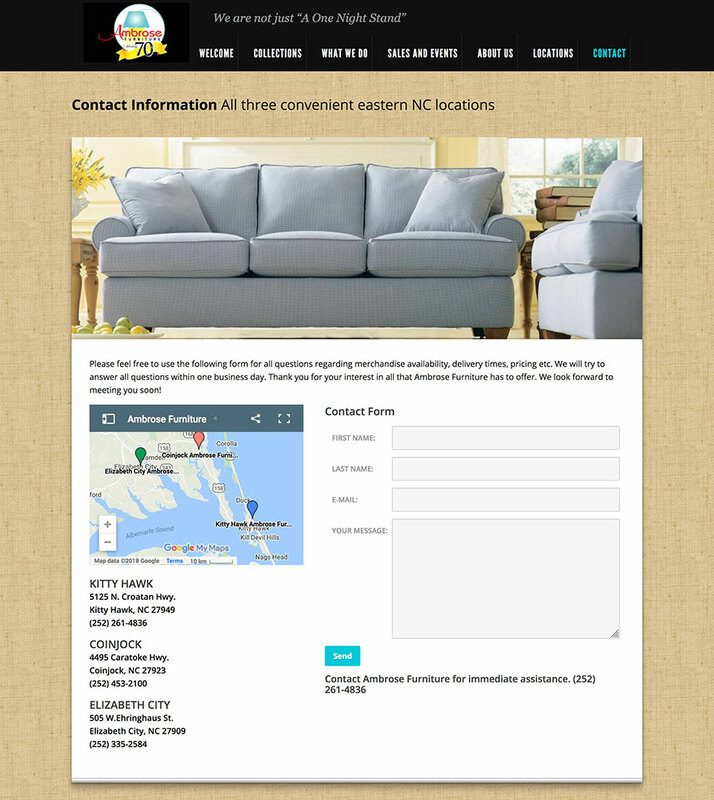 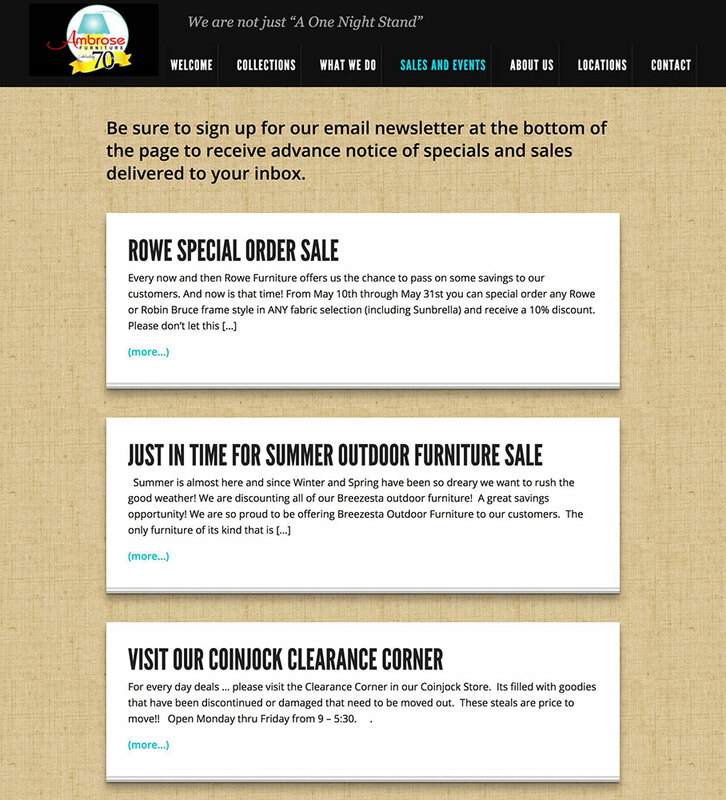 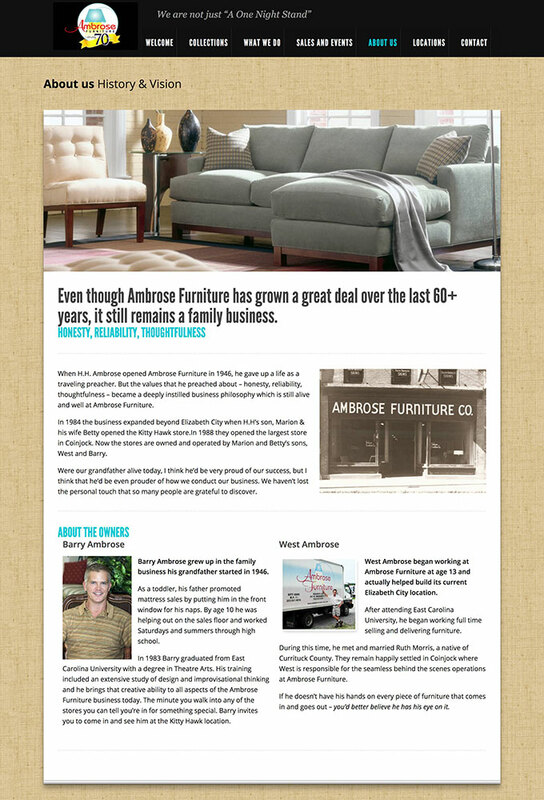 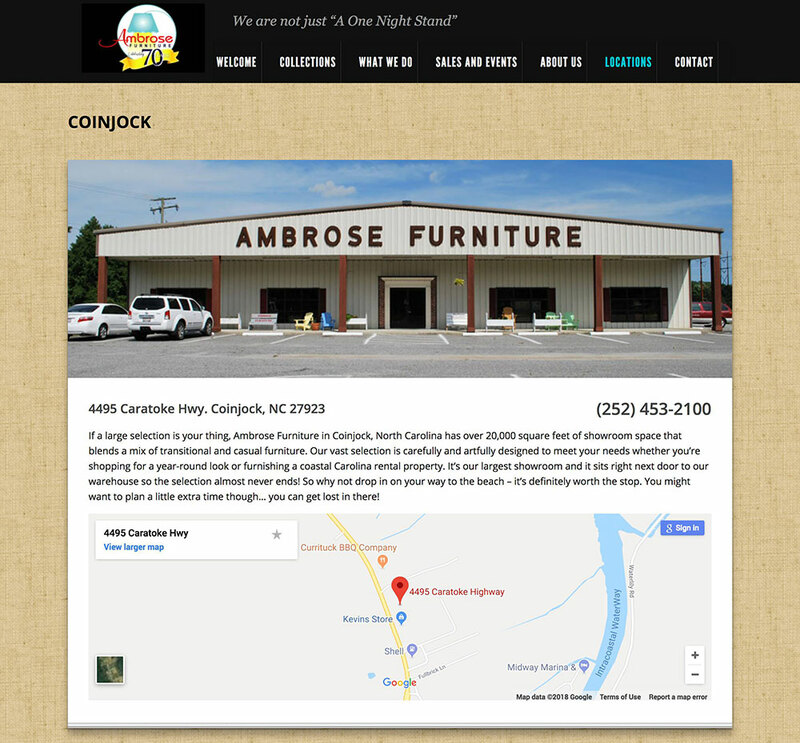 We developed this website for long time furniture retail business in eastern North Carolina and Outer Banks. 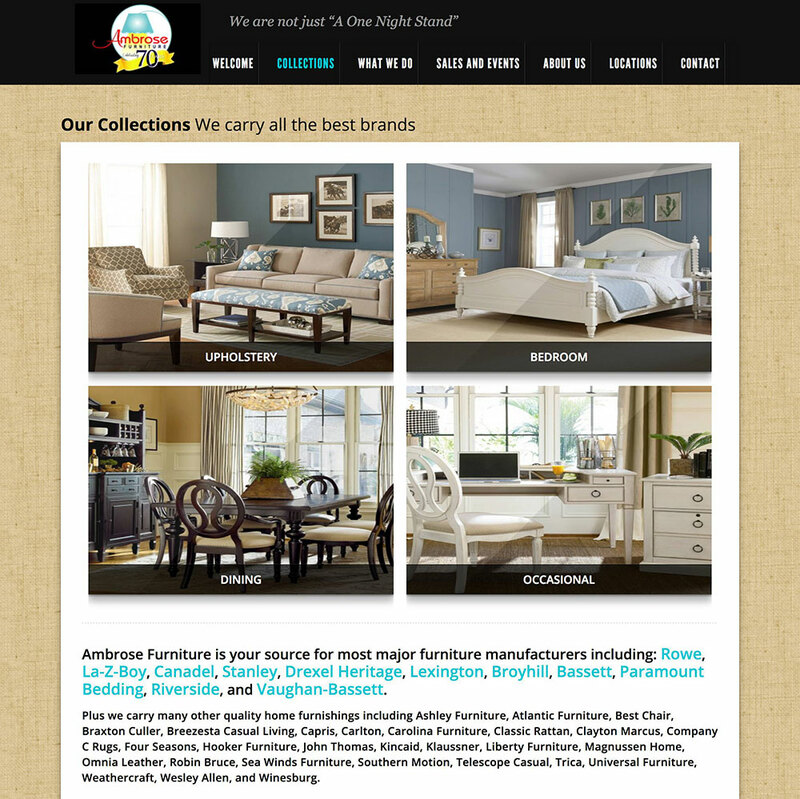 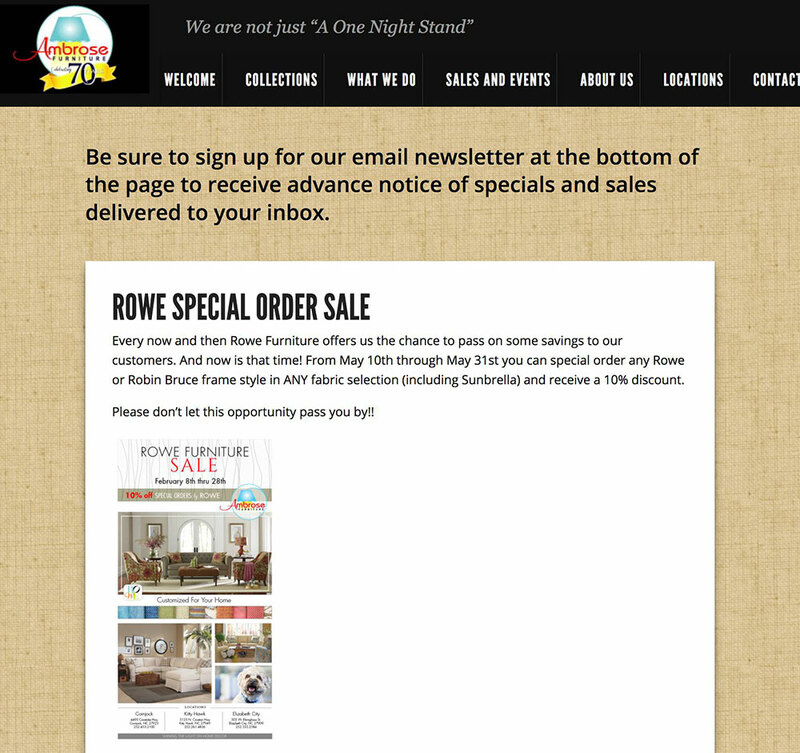 The site showcases the different furniture brands and styles available at the store. 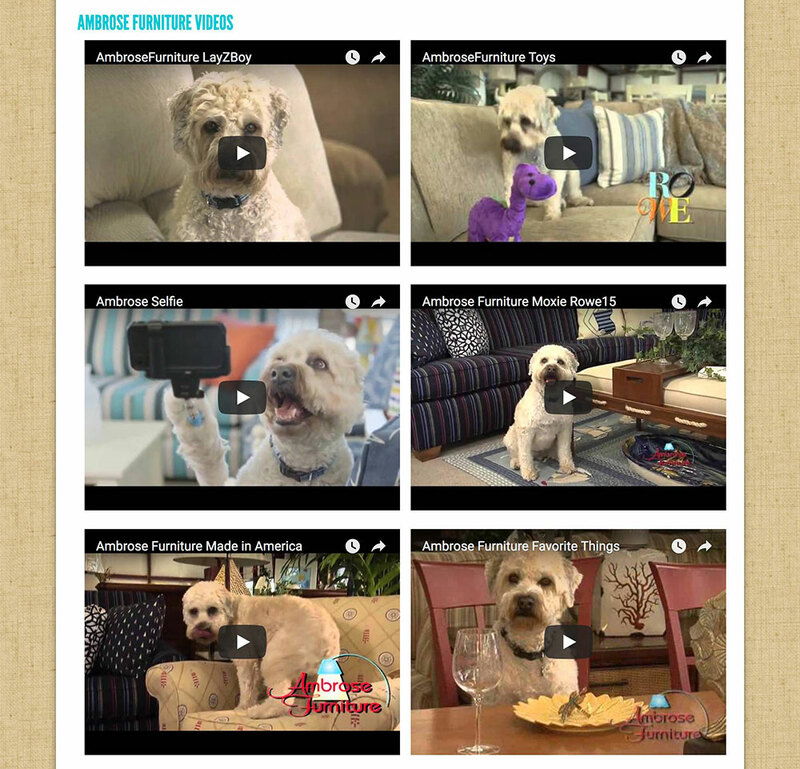 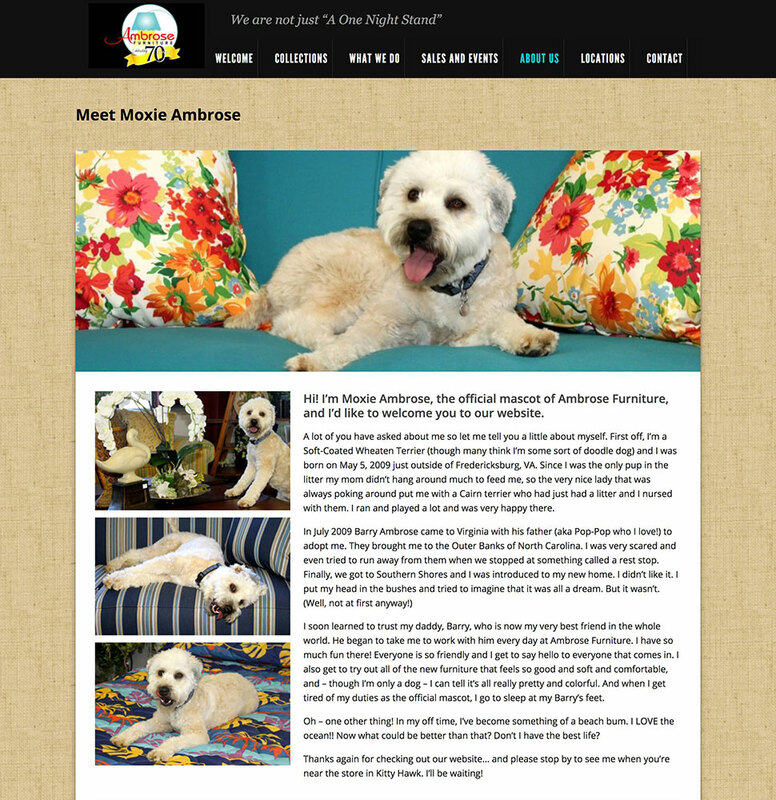 It also features a page with all of the commercials and heavy use of branding with Moxie the dog. 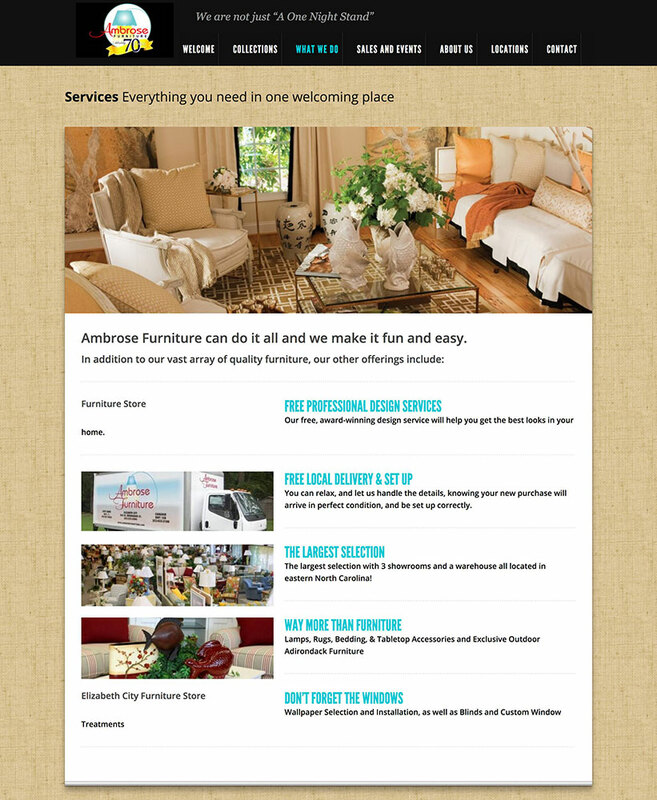 The Sales and Events blog gives them a place where they can announce upcoming sales and events easily themselves.